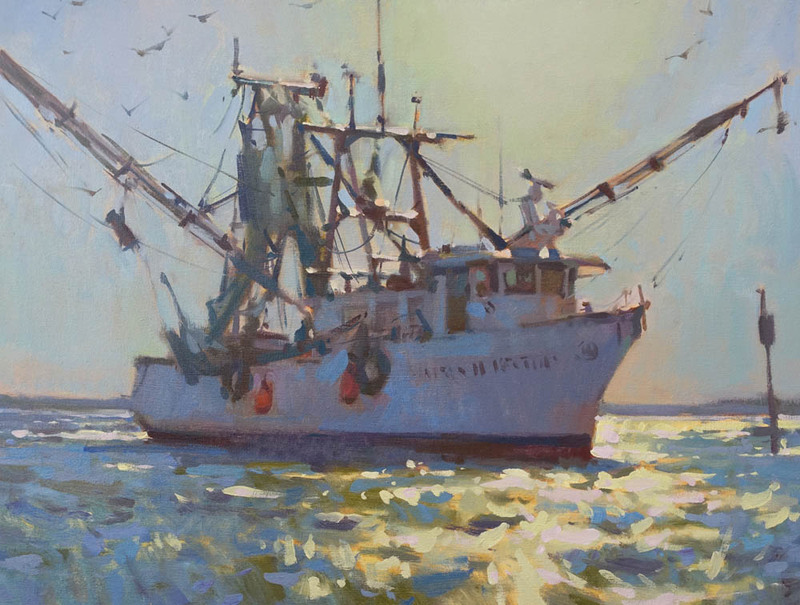 For the month of October you can see a show of my paintings at Anglin Smith Fine Art Gallery in Charleston, SC. These are new paintings of both Charleston and Maine. There will be shrimp boats, downtown scenes, boatyards, marshy waterfornt,,, lots of fun scenes. Stop by and see the show, and if you are there for the first friday art walk in October you can come say hi. I hope to see you there.